Do you always admire Korean people for their flawless complexion and wonder which products they use? Korean BB creams have taken the beauty world by a storm and many new versions of these BB creams have come in the market but the original brands are still preferred for their amazing coverage and added skincare benefits. BB creams, called as blemish balms or beauty balms, combine the benefits of makeup and skincare in one tube and allow you to simplify your beauty routine by eliminating all the extra products. With the introduction of so many types of BB, CC, and DD creams in the market, it can be a little confusing to choose the right Korean BB cream to make your complexion look absolutely perfect. Made up of aloe vera and mushroom extracts, this BB cream from SkinFood comes with SPF 20 PA+ so it provides sun protection as well as moisture to the skin. It has a translucent finish and provides light coverage to the skin. The tube packaging is quite convenient to use and protects the cream from contamination. It gives a natural look and blends easily into the skin. The quantity is good as one tube lasts for 3-4 months if used daily. The formula feels light on the skin and gives a dewy finish which stays for 4-5 hours and longer if you set it with a powder. The price of the product is affordable as compared to other BB creams available in the market. Mushroom extracts and aloe Vera extracts nourish the skin and prevent dry spots. The formula is very lightweight and provides a natural dewy finish. The SPF 20 PA+ protects the skin from harmful UV rays. the quantity and packaging of the BB cream are worth the price. The fragrance of the cream might not be suitable for everyone. It is not suitable for people with oily skin. This BB cream is a good option for people who are looking a dewy natural finish with added UV protection. This cream comes at an affordable price and the quantity also lasts well even if you use it daily as you only need a small amount of product. With five shades to choose from, the Etude House BB cream comes with a high dose of sun protection as it offers SPF50+ along with PA+++. It is made for people with oily skin and controls excess oil and sebum to give you a natural yet beautiful skin without any greasy feeling. The matte finish does not make the skin feel dry. It provides a light to medium coverage and stays on the skin for 8-9 hours. You need to buff the cream into the skin using a foundation brush otherwise it can look patchy and cakey. The quantity of the cream lasts well and the price is reasonable. The BB cream is available in many shades to suit all skin tones. The texture is quite light and it provides a matte and natural finish to the skin. The staying power of the cream is good and the sun protection is enough for day to day work. It covers minor imperfections easily and gives you a smooth base to work on. It can be a bit dry for people with dry skin as it is meant for oily skin. It is difficult to select the right shade for your skin tone as the shade range of the cream is different than most other makeup products. Etude House is known for its great skincare and makeup products and this BB cream from the brands provides you with benefits of both and great UV protection as well. The coverage is also good and it stays on the skin for 8-9 hours without fading. One of the most popular Korean BB creams, the Marcelle BB cream contains self-adjusting pigments which can adapt to your particular skin tone and provide a customized finish. It also contains aloe extract, chamomile extract, and antioxidants which soothe the skin and protect it from pollutants. The formula is non-comedogenic and free of fragrances which can irritate the skin. It also makes the skin look radiant with its illuminating particles. The cream can be used to replace moisturizer, concealer, and foundation so you can skip all these products easily. The pump tube looks classy and the quantity lasts for 3-4 months. The price of the cream is a bit high. The self-adjusting illuminating pigments adapt well to the skin tone and make it look natural. The formula is non-comedogenic so it does not block pores or break out the skin. Chamomile and aloe extracts soothe skin inflammation and make the skin look radiant. The pump packaging makes it easy to use the cream on the go. The formula does not contain SPF so you need to use a sunscreen separately. The price of the BB cream is high as compared to the quantity. Marcelle BB cream is a bestseller because of its skintone-adapting formula and soothing ingredients which reduce inflammation and rashes. It does not irritate the skin in any way and makes it look radiant and fresh even after a few hours. If you are looking for an oil-free BB cream, the Boscia BB cream with SPF 27 PA++ offers broad-spectrum protection along with a lightweight finish. It is available in light and dark shades and has a light texture which feels comfortable on the skin. The watery texture absorbs quickly and leaves no trace of grease or oil on the skin. It keeps the skin looking fresh and natural for 5-6 hours after which you might need a touch up. The packaging of the cream is very classy and it is easy to use during travelling too. The price of the BB cream is very expensive since it contains high-quality ingredients. The cream has a very light texture which gets absorbed into the skin effortlessly. The staying power is good and the shade selection suits all skin tones. The SPF 27 PA++ offers broad spectrum protection. The packaging is travel-friendly and the quantity is good. The price of the cream is very high as compared to other brands. It is not suitable for people with dry skin. This BB cream is expensive but it is loved by beauty enthusiasts worldwide for its very light formula and comfortable finish on the skin. It does not look patchy and is completely oil-free also. Suitable for combination to oily skin, the Dr. Jart BB cream helps in making your skin appear smoother and blemish-free with its medium coverage formula. It covers pores well and this shade is suitable for light to fair skin tones. The formula is free of sulphates and parabens and has SPF30 PA++ for sun protection. The consistency of the formula is more like a thin foundation that covers spots and blemishes. It does not clog the pores or cause any breakouts if it is removed properly at the end of the day. The price of the cream is moderate but the quantity is good for the price. The cream gives a dewy finish to the skin but does not make it feel oily. It is suitable for most skin types and provided added sun protection. It covers blemishes and pores well and offers medium coverage. The packaging is lightweight and travel-friendly. The price of the cream is moderate. It needs to be removed properly to avoid breakouts. This BB cream is great for people with enlarged pores and blemishes as it smoothens the pores and covers blemishes efficiently. The additional broad-spectrum sun protection adds to its benefits. Suitable for all skin types, the Purlisse BB cream has a mineral formulation and comes with SPF 30 for added protection against the sun. The formula contains chamomile extracts, Asian herbs extract, sugar maple, and Artemisia which soothe the skin and retain moisture. It is oil-free and reduces pore blockage also because of its non-comedogenic nature. The quantity of the cream is great as one tube lasts for 3-4 months if used daily. The coverage of the formula is sheer to medium and it does not look patchy if blended well. The price of the cream is high but its formula makes it worth it. The mineral formulation sits well on the skin and does not block pores. The SPF30 helps you skip the sunscreen when stepping out wearing this cream. The quantity is good and the packaging is travel-friendly. The cream has a pleasing fragrance. It is a bit expensive as compared to other BB creams. The formula has to be blended into the skin with a buffing brush. This BB cream is very popular for its soothing formula and added SPF which protects the skin and nourishes it to look radiant and fresh. The cream provides a very natural coverage. Designed to work as a concealer, moisturizer, and sunscreen, this BB cream conceals dark spots and skin imperfections easily and absorbs excess oil to gives your skin a comfortable finish. It comes with broad spectrum sun protection and provides UVA and UVB protection also. The formula comes in only one shade which is light medium but the shade adapts to most skin tones and provides a sheer coverage. It is also suitable for acne-prone skin and blends well into the skin. The price of the cream is affordable as compared to other BB creams available in the market and the quantity is good for the price. The price of the cream is reasonable as compared to its multiple benefits. It is good for people with oily skin as it absorbs sebum and oil to give a natural finish. The shade adapts well to most skin tones and gives a natural glow to the skin. It offers broad spectrum protection to the skin. The cream is available in only one shade which might not suit every skin tone. The formula can separate in the tube so you need to shake it before use. This Korean BB cream provides multiple skincare and makeup benefits and the shade gives a sheer natural coverage to hide imperfections. It is suitable for people with oily skin and the broad sun protection is an added benefit. With two shades to choose from, the Sorme BB cream is designed to nourish and hydrate the skin while providing sheer coverage to make your skin look even and polished. It is suitable for all skin types including sensitive skin and reduces skin inflammation and redness. It contains aloe vera, papaya extracts, Ginseng root extract, argan oil, and other natural extracts which are very beneficial for the skin. The formula has an airy and lightweight finish and offers sun protection also. The price of the cream is high and it is one of the most expensive BB creams available in the market. It contains aloe vera and argan oil which soothe and nourish the skin. The cream provides sheer coverage and the two shades are suitable for most skin tones. It does not breakout the skin or feel heavy. It is suitable for people with dry skin also as it hydrates the skin well. The price of the cream is very high. The details about the SPF are not mentioned on the tube. The ingredients of this cream soothe the skin and it has two shades which work well on fair to medium dark skin tones. The aloe vera gel and argan oil hydrate and repair the skin without causing any breakouts or dark spots. One of the most popular and affordable BB creams in the market, the Holika Holika BB cream is available in five variants out of which one is the pore clearing variant. It comes with SPF 30 PA++ and absorbs excess sebum with its tea tree oil-based formula. The formula provides a semi-matte finish with medium to full coverage if you blend it well. It comes in only one shade but the shade suits most skin tones as it adapts to the natural skin colour. The texture feels smooth and the cream is good for oily and acne-prone skin. The price of this BB cream is very affordable and the quantity is also great. It comes in five variants for different skincare concerns. The formula contains tea tree oil which is rich in antioxidants and reduces breakouts. The price of the BB cream is very affordable and it provides broad sun protection. It provides a natural and semi-matte finish. It takes a bit of effort to blend the cream into the skin properly. The consistency of the product might be a little heavy for some users. This is a very affordable BB cream and the variants give you ample choice to choose a cream which targets your skincare concerns. It is rich in tea tree oil that is known to be very beneficial for acne-prone skin. With three shades to choose from, the Skin79 BB cream is known for its anti-aging benefits and provides good coverage for darker skin tones as well. It comes with SPF 50+ and PA+++ and provides a bit of whitening effect as well to the skin. The cream uses a soothing water complex to refresh and reduces dry spots. The pump packaging is quite easy to use and the smooth polymers in the formula make the skin appear smoother than it actually is. The price of the cream is moderate. It contains water complex and polymers to make the skin appear fresh and smooth. The quantity is good for the price and the pump packaging reduces product wastage. It is available in three shades and suits fair to dark skin tones. It also provides anti-aging benefits and reduces the dullness of the skin. The formula is filled with chemicals which might irritate and breakout the skin. The packaging is a little bulky. 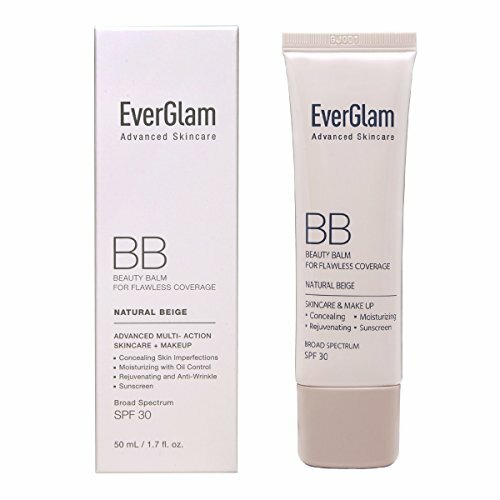 This BB cream provides a very smooth appearance to the skin and does not make it look dry even after 4-5 hours of wear. The water complex soothes the skin and the SPF provides sun protection to prevent skin damage. The ingredients and formula of the BB cream should be checked properly to see if they are suited for your skin tone and coverage needs. Some BB creams provide a sheer coverage while some provide medium to full coverage. Korean creams can contain a lot of uncommon ingredients so choose carefully. Your skin type also matters a lot when it comes to choosing a BB cream as not all creams are formulated for all skin types. Go for a lightweight formula if you have an oily skin and a nourishing formula for combating dry skin issues. You can go for a matte finish or a dewy finish depending on your preference. Most BB creams cost anywhere between 10$ to 35$ depending on their brand and formula but avoid buying a cream which costs very less as it will be filled with chemicals that can clog your pores and give you more concerns to worry about. Look for online discounts which can help you save some money on an expensive BB cream. Reading customer reviews of a particular product online helps you to get an idea of how the product performs on a particular skin type and will it suit your skin or not. These reviews are very helpful in determining the kind of finish and texture a BB cream has. Q: Can Korean BB creams replace sunscreen? If your BB cream contains additional SPF of 15 or 20, you do not need to wear a separate sunscreen before stepping out in the sun. BB creams generally contain SPF as they are designed to be multipurpose products with combined benefits of a concealer, foundation, sunscreen, and moisturizer. If the formula does not contain SPF, you have to apply a sunscreen before you apply a BB cream to protect your skin against the harmful effects of the sun rays. Q:Are BB creams good for oily skin? Some BB creams are specifically designed for people with oily skin and these BB creams have lighter formulas which absorb excess oil and give a matte finish to the skin. Do not use BB creams which are heavier as they can make the skin look greasy and can also lead to pore blockage if not removed properly. People with oily skin should remove all their makeup including BB cream at the end of the day with a good cleanser to take care of their skin. Q: Do we need to use a moisturizer underneath the BB cream? Most BB creams have a moisturizing formula and you do not need to wear a separate moisturizer unless you have a very dry skin. BB creams are designed to provide all the benefits of a moisturizer and they hydrate the skin well and get absorbed into the skin quickly like a moisturizer. Q: Are Korean BB creams good for everyday use? Yes, BB creams are very good for everyday use when you do not want to layer too many products on your skin and want to wear something light and easy. These BB creams enhance the radiance of the skin and provide light to medium coverage. You can also use a BB cream on occasions when you do not want a full coverage and are going for a natural and subtle day look. Q: What is the difference between a BB cream and a CC cream? A BB cream is more of a beauty balm which helps you replace moisturizer, foundation, concealer, and sunscreen from your everyday makeup routine and does not harm the skin as much as other chemical-laden makeup products. A CC cream, on the other hand, is a colour corrective cream that is designed to even out the skin tone by correcting yellow or red undertones. CC creams are not as hydrating as BB creams and they do not contain SPF also. Q: Can you use BB cream instead of a foundation? If you want a light coverage, you can use a BB cream instead of a foundation as BB creams do not feel as heavy on the skin as traditional foundations. They are the lighter versions of foundations. If you are going to attend a special occasion and need full coverage, you should go for a foundation as it is better suited for the occasion and can hide some imperfections of the skin easily. Foundations also photograph well as compared to BB creams. Q: Can BB cream cause acne breakouts? If you do not clean your makeup properly before going to bed or use more product than required, it can clog your pores and lead to acne breakouts which can make your skin look unappealing and dull. Another important thing to keep in mind is to use the BB cream which is designed for your particular skin type and concern. If you have an oily skin and use a BB cream with a greasy formula, this can lead to more breakouts. Clean your skin thoroughly at the end of the day and use the right skincare products if you have an acne-prone skin. Q: Are Korean BB creams better than other BB creams? Korean BB creams contain ingredients which are commonly not found in other BB creams and these ingredients are very beneficial for the skin. Korean skincare is considered to be one of the favourite of celebrities as it gives you a flawless skin and the BB creams from Korea are also very well-made and give a smooth look to your skin with light to medium coverage. Do not go for very cheap formulas which promise extraordinary results as these creams can contain chemicals which are harmful for the skin. Apply a BB cream with fingers but blend it into the skin with a clean sponge as this gives a smoother finish. Check the expiry date of the product and read online customer reviews to get an idea of the effectiveness of the product. Start with a little quantity and then build more coverage if needed. BB creams only provide a light to medium coverage so using more product than necessary will only lead to product wastage. Some BB creams offer a shade range to suit different skin tones so choose your shade as per your skin tone. Most BB creams come in a universal shade and adapt to the skin easily. Keep your BB cream away from direct sunlight and excessive heat as this can separate the components of the formula and can render the BB cream useless. Do not apply the BB cream directly from the tube as this can contaminate the tube and can cause skin infections. Give your skin a break by not using any makeup products for some time so that the skin can breathe. This also helps in faster cell renewal and your skin will look fresh and flawless. Always do a patch test before applying the BB cream on the face as some formulas can cause allergic reactions on your skin if it is sensitive to any ingredient. Only use the BB cream after checking for any adverse reactions. So these are ten Korean BB creams that are loved by beauty lovers across the world for their flawless coverage and skincare benefits. These BB creams help you simplify your makeup routine and are good for everyday use when you do not want to wear a lot of makeup and want to go for a natural finish. All these creams are great in terms of formula and coverage so you can choose according to your skin type and required coverage. Have you tried incorporating a Korean BB cream in your routine? How was your experience? Is it possible if I use bb cream on my fingers? Yes, you can. I suggest you follow these steps. First, you should know when and why you use your fingers. Second, you put a small amount on your back of the hand. Third, you put 5 dots to your forehead, cheeks, nose, and chin. Fourth, you tap the cream overall your face smoothly. Fifth, you blend gently it outward. And the last, you don’t forget to tap the bb cream around your eyes. 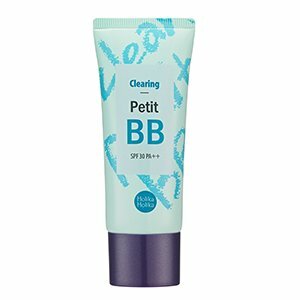 I use bb cream for week and I found that I can’t wear it smoothly. Do you have some tips? Sure. First of all, you should know when and why to use makeup brush. Second, you put a small amount onto the palm of one hand. Third, you put 5 dots to nose, forehead, cheeks, and chin. Fourth, you spread out and smooth the cream overall your face by using brush. Finally, you apply the bb around eyes. Marcelle BB Cream works so well. I’m fond of it. Jenny! Thanks for your suggestion. Sorme Cosmetics Treat & Tint BB Cream works well on my skin. Do you know if Korean BB creams are safe for pregnant women? Great question. I suggest you it’s so important to check if the product use genuine. However, most of Korean Cosmetic are very safe. Lightweight foundation such authentic bb creams are safe and you can use in daily.